Both at law and under professional codes of ethics, health care workers have a duty of confidentiality to the resident/service user. 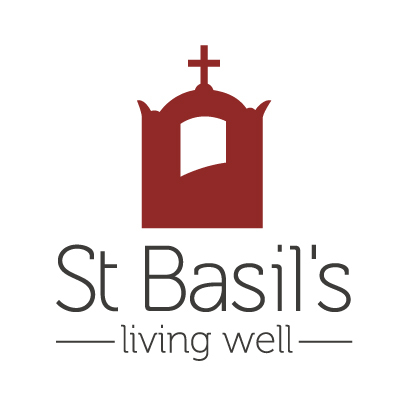 St Basil’s Homes (SA), its administrative staff and other employees also have a legal duty of confidentiality to the resident/service user. Civil action for damages can result from breach of this duty by unjustified disclosure of confidential or personal information for any purpose other than for which it was given without either the consent of the resident/service user or the compulsion of law. Serious, wilful or negligent breach of confidentiality by a staff member may result in dismissal. Disclosure of confidential or personal information without the consent of the resident/service user or compulsion of law may be justified in particular cases such as where any person’s life or health is put in jeopardy by maintaining silence. The following procedures for collection, storage, retrieval and use, verification and correction, disclosure and disposal of information shall be followed in order to respect this duty of confidentiality and avoid the possibility of civil action for damages. This policy applies to all staff of St Basil’s Homes (SA) and relates to information which may cause a person to be identified and therefore breaches their right to personal privacy. Information which is aggregated and/or information with personally identifying fields stripped or made irretrievable are not subject to this policy. Personal information will only be received from a third party with the permission of the subject, where the third party is a legal guardian or where information is necessary to the health and wellbeing of the subject and permission is unobtainable. Only information relevant to the provision of good quality care by the organisation will be obtained and recorded. All Staff should take reasonable care in guarding against accidental loss or unauthorised use of the confidential or personal information they hold. Personal and medical records should not be left unattended in areas accessible to the public. Passwords and restricted access to data on the computer network limit access to approved individuals. Original documents and other materials should not leave the workplace except where production of the original at some other place is required by law. If personal records that are not relevant to St Basil’s are provided by a stakeholder, this information will immediately be discarded in a confidential waste bin. Only people who have a professional or administrative need should have access to confidential or personal documents. These individuals will be identified on the Databank Register. Copies will only be made of personal information with permission of a delegated authority, being that individual who claims responsibility for security of that information. Staff should be discreet in their comments about residents/service user while at work. Care should be taken when ‘handover’ information is given if a third party is present. Staff should not identify residents/service users in open or public conversation about their work. As a rule computer maintenance is carried out on site and in the presence of St Basil’s Homes (SA) staff member. Where a computer is removed from St Basil’s Homes (SA) premises for sale or maintenance, confidential information is removed. Day to day requests by current residents/service users for verbal information should be responded to by a staff member with the appropriate knowledge. Residents/service users are entitled to be informed about their medical treatment and state of health. This right must be weighed against factors relevant to the resident’s/service users’ health, as in some cases knowledge of complete and detailed information may be deleterious to that person’s wellbeing. If the verbal information being requested by a resident/service user is of a sensitive nature the request is to be referred to a senior staff member. Care / Assistance / Therapy plans are devised in consultation with and for the benefit of the resident/service user. These plans form part of the agreement between St Basil’s Homes (SA) and the resident/service user and as such can be made available for the resident/service user to view at their request. It is recommended that a member of the professional staff be present during viewing to assist the resident/service user in their interpretation of the information. Apart from exceptions detailed in these guidelines all other requests by a resident/service user for information from or access to confidential or personal documents should be directed to the Residential Manager. The most commonly held legal view is that documents and materials prepared by St Basil’s Homes (SA) staff (case notes) are the property of St Basil’s Homes (SA) and thus the resident/service user is not entitled to possession of them. However, wherever possible a resident/service user should have access to personal information except where prohibited by law or where knowledge may cause harm. Residents/service users may therefore request access to case notes, this request must be directed to the Residential Manager. Where a resident/service user is refused access to their personal information, the resident/service user has a right to have this information forwarded to an independent advocacy group or medical practitioner to determine if access should be granted. Brief verbal information as to the location and general condition of a resident/service user may be given to friends, relatives etc, although a resident’s/service user’s request that this information not be given must be respected. Day to day requests by friends of current residents/service users for more detailed verbal information should be directed to a senior staff member. A resident’s/service user’s request that this information not be given must be respected. Apart from the release of verbal information and exceptional circumstances in the situations outlined in this document, no information from or access to confidential or personal documents of residents/service users should be given to any third party other than those for whom the information was originally intended without consent of the resident/service user, the consent of a legal guardian or legal advice that the resident’s/service user’s consent is not necessary. All requests for release of information to a third party, without the resident’s/service user’s effective consent, should be referred, in writing, the Chief Executive. St Basil’s does not disclose information to overseas recipients. Apart from the release of verbal information and exceptional circumstances in the situations outlined in this document, no information from, photos of or access to confidential or personal documents of residents/service users should be uploaded to any Social Media accounts without consent of the resident/service user, the consent of a legal guardian or legal advice that the Resident’s/service user’s consent is not necessary. All requests for upload of information/photographs to a Social Media site, without the resident’s/service user’s effective consent, should be referred, in writing, to the Chief Executive Officer. The death of a resident/service user does not excuse staff of their obligation to keep the resident’s/service user’s information confidential. Permission of a representative is required for release of confidential or personal information when the resident/service user is deceased. The representative should be the executor of the will or administrator of the estate or, where there is no such representative, the person’s closest relative over the age of 18 years. All requests for release of information should be referred, in writing, to the Chief Executive Officer. Where the resident/service user is incapable of giving effective consent to release of information to a third party, such information should not be released except in circumstances where the release is necessary to prevent a serious, imminent threat to the life or health of any person. All requests for release of information should be referred, in writing, to the Chief Executive Officer. In certain circumstances, St Basil’s Homes (SA) may be required by law to disclose information and to give access to documents or other materials in their possession. Where disclosure is required by law, the resident’s/service user’s consent is not necessary. In all cases care must be taken to disclose only as much information as is required by the statute, regulation or order. The Courts, the Coroner and some quasi-judicial bodies have the power to order the production of original confidential or personal documents pertaining to a resident/service user either to a court or tribunal or to some other named person. The police have the power to inspect and seize original documents and other materials if they have a warrant to do so. All requests for release of information should be referred, in writing, to the Chief Executive. Where documents to be sighted by a resident/service user or a third party contain information about persons other than the resident/service user, it is necessary to obtain the permission of those other persons or to give access with the portion of text relating to the other persons deleted. Where a document to be released to a resident/service user or third party contains documentation by health professionals not employed by St Basil’s Homes (SA) at the time of documentation, the permission of the health professional to release the information should be sought or the portion of text deleted from the copy to be sighted. Where a resident/service user or third party is approved to view a document, this document shall, wherever possible, remain in the presence of St Basil’s Homes (SA) staff member. Copies of documents will generally not be provided to a resident/service user or a third party. Where documents are provided for a resident/service user or third party to view, an appropriately informed staff member shall, wherever possible, be present to assist with interpretation and/or explanation of the documents. Where information is forwarded to individuals (generally only for purpose of professional referral) this should, wherever possible, not occur via facsimile machine. The residents’/service users’ effective consent, or that of their legal guardian must be obtained in order to release information to, or gain information from, another service, program or agency. The resident/service user and/or their advocate or legal guardian (hereafter the resident/service user) is aware of who will receive the information. The resident/service user is aware of the nature of the information being disclosed. The resident/service user is aware of the purpose for which the information will be used. The recipient of the information guarantees a similar level of protection of privacy. Given this information the resident/service user has provided their permission to disclose the stated information. This may be documented in the resident’s/service user’s notes or on a Permission to Obtain / Release information form (Appendix I1.2). Residents/Service users may request at any time to change or re-write their Care/Assistance/Therapy plan. However, residents/service users or a third party may not alter any other documentation, which is the property of St Basil’s Homes (SA). Where a resident/service user or third party disagrees with any aspect of documentation they may record a comment (named and dated) to the documentation. Any errors as identified by staff will be corrected by identifying the error and writing the correction nearby. Information should not be held for longer than necessary for legal requirements or for the provision of good quality care. Documents subject to this policy shall be disposed of via shredding or approved confidential waste disposal bins. Residents/service users will be informed of the organisation’s practices relating to confidentiality of personal information. Staff will be informed of their responsibilities for maintaining confidentiality of resident’s/service user’s personal information and the penalties for wilful disclosure. If the first instance please lodge your complaint with St Basil’s Privacy Officer. If you are dissatisfied with our response, then please lodge your complaint in writing to the Office of the Australian Information Commissioner.